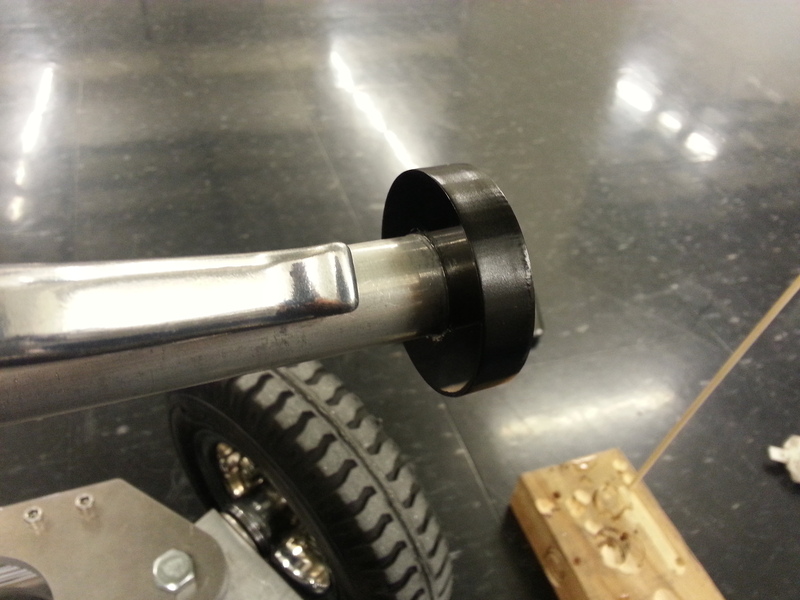 After figuring out an optimal length for the handlebars, we had to get the tubing on the steering bar. This process initially began as “mallet the tubing into your partner’s shins,” but gradually switched over to the wall when we found that it was a very snug fit. Even then, we couldn’t get the tubing on the right side to fully reach the bar. It definitely won’t move, but it is something cosmetic to consider fixing for later. The left side of the bar (with the brake handle) needed some sort of handlebar stop. There was a nice piece of black 1/2″ acrylic in the shop, which we repeatedly rastered on the laser cutter in the middle of the puck-shaped piece. This piece fit tightly as well, but some epoxy didn’t hurt. Now for the braking–long story short, with the band brake on the right side like before, the wheel would thread on the brake, resulting in a locked wheel. 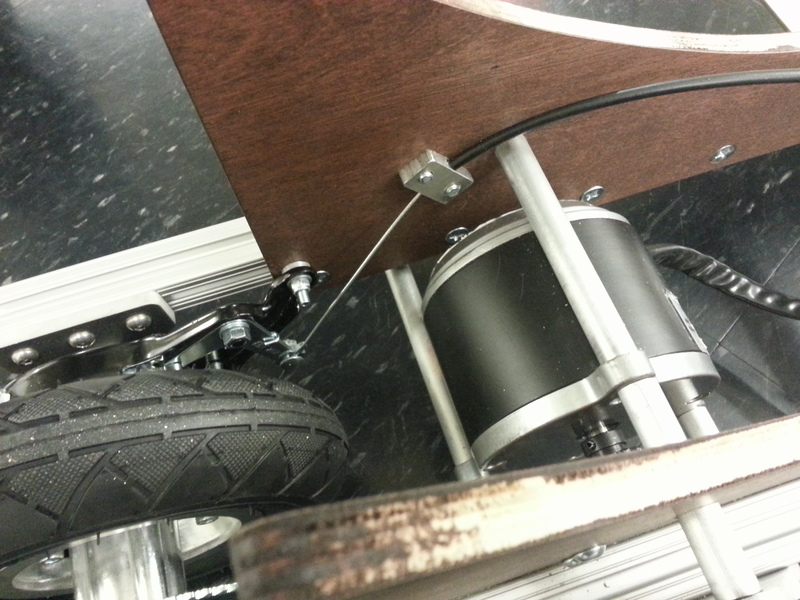 With only a little bit of trouble, we flipped the motor and back wheel and added a small mount to constrain the brake cable. For all your chain tensioning needs! 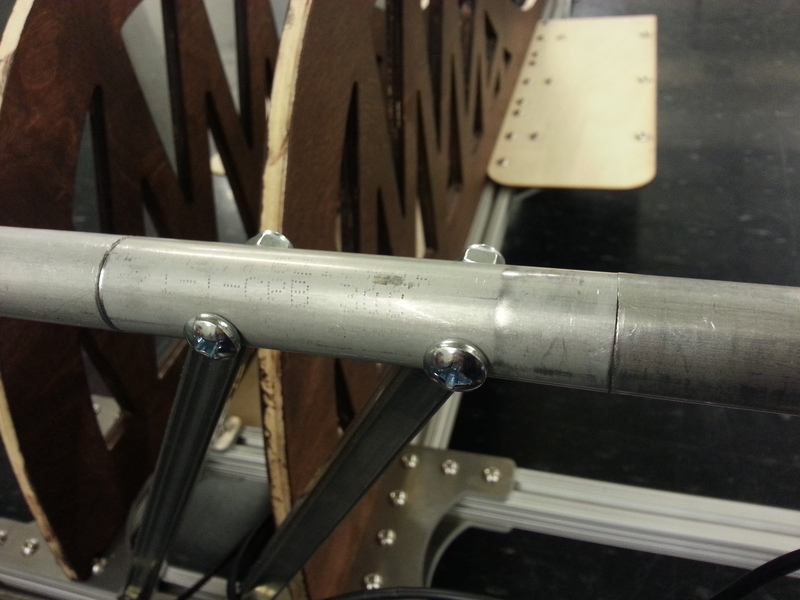 Oh, as you can see from this picture, one of the bottom mounts for the motor kind of got in the way of the chain, so we just cut the rod and added a nut at the end. It’s still really sturdy. 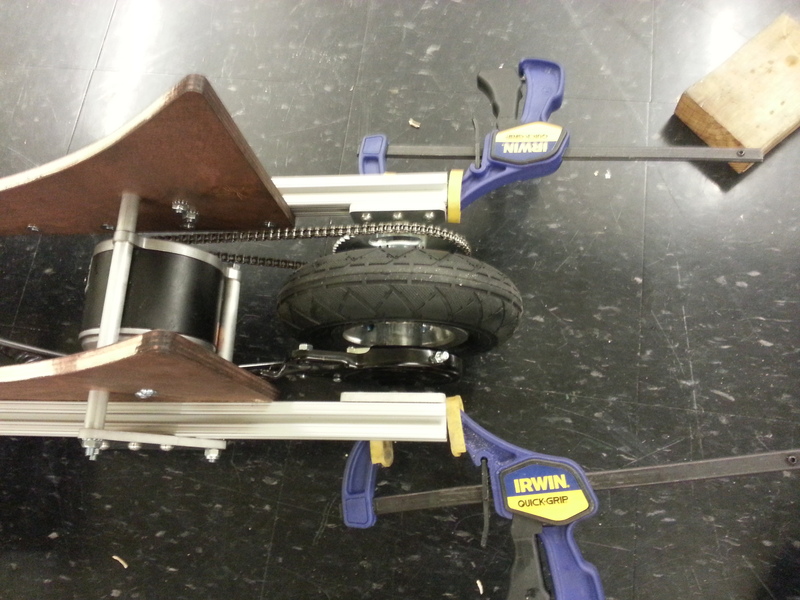 Now that we’ve got the drivetrain, it’s just a small step to get the kart running, right? And with a sketchy banana plug setup (tons of sparks…) and a single battery, we were rolling! Woooo! Yeah, there’s more to the electrical system than this, but still–I’m super happy about the current progress. Just as a note too, this is not necessarily how we will ultimately ride on the kart, but currently it is the most comfortable method because the cover doesn’t exist yet. 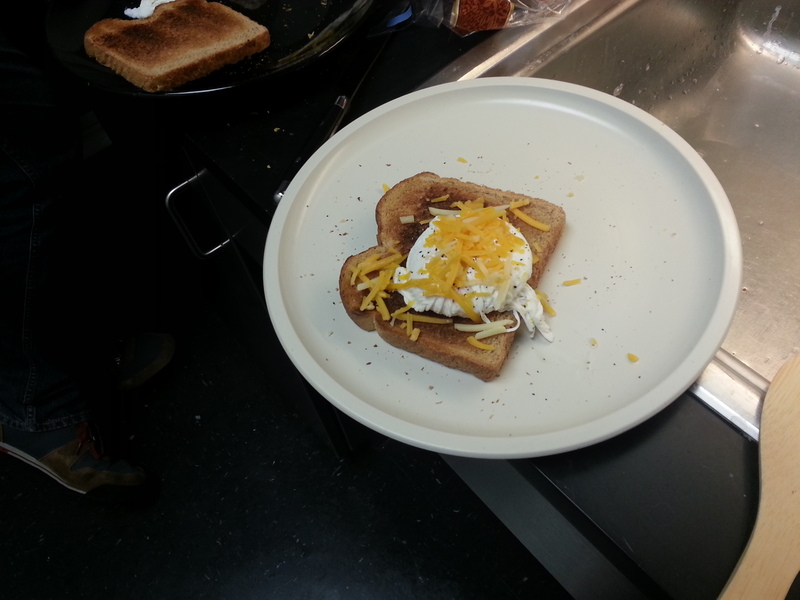 Then I went back to Simmons and made some eggs on toast. It was really tasty. I felt obligated to add that to my blog. Because, you know, it’s about making stuff and all.